Guest Oppinion -- Bill Sardi -- Did The Federal Government Hide A Flu Epidemic In 1993 And Why? DID THE FEDERAL GOV'T. HIDE A FLU EPIDEMIC IN 1993 AND WHY? Nearly 93,000 more deaths were reported in 1993 than the previous year. My memory bank didn’t recall any outstanding disease or epidemic back then. What was the cause of this severe increase in the death rate? I began to investigate. The Monthly Vital Statistics Report said death rates for HIV infection (9.8%), COPD-chronic obstructive pulmonary disease (8.2%) and pneumonia/influenza (8.1%) rose steeply from 1992 to 1993. However, the ten leading causes of death didn’t change over that time period. The Centers for Disease Control said deaths due to heart disease, chronic obstructive pulmonary disease (COPD), HIV infection and pneumonia/influenza as well as diabetes made the largest contributions to the overall mortality increase. The cause(s) of the increase in the death rate were spread among various diseases by the Centers for Disease Control (CDC), far too broad to explain any single cause. Not a word was said about this startling setback in life expectancy. What two flu epidemics is the report referring to? 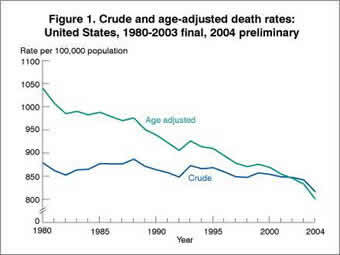 A CDC review of mortality patterns in 1993 also states “the decline in life expectancy likely reflects increases in death rates for chronic disease during the two influenza outbreaks of 1993.” [Morbidity Mortality Weekly 45:08), 1161-64, March 1, 1996] There it is again, confirmation that two flu epidemics in the same year caused an increase in deaths with an admission it resulted in a decline in the life expectancy of Americans. Americans may be roughly familiar with the historical timeline of flu outbreaks provided in the chart below. The chart has been adapted to show the severity of each influenza outbreak and also the SARS coronavirus pandemic of 2003. I have added the 1993 flu outbreaks to the chart. Note that the 1993 flu outbreak which resulted in nearly 93,000 more deaths than the prior year resulted in more deaths than the well-known Asian and Hong Kong flu pandemics and would be second only to the Spanish Flu pandemic of 1918 in comparable deaths. The Spanish flu had temporarily set back US life expectancy gains from 50.9 years to 39.1 years. Of course, this was the pre-antibiotic era. There were no anti-bacterial or anti-viral drugs then. According to charts provided by the CDC and other health organizations, it’s as if there was no flu epidemic in the US in 1993. I had to dig deep into the health reports of that year to find further confirmation that it was the flu, and no other disease, that caused the American life expectancy to steeply decline for one year. Data showed only 3,430 more deaths among HIV-infected residents then the prior year. [Morbidity Mortality 45: 121-25, 1996] Another study showed only 254 excess flu deaths among person with HIV for 1992-93 and only 191 the following year. [Archives Internal Medicine 161: 441-46, 2001] So HIV-infected persons, through at higher risk for death from the flu, cannot explain the unusual number of deaths attributed to influenza in 1993. It struck elderly nursing home residents. But why? So I began to re-read a government document I had flagged with a red paperclip during my investigation. A flu surveillance report published by the CDC states that the “1992-93 influenza season was dominated by influenza B, but increasing circulation of influenza A (H3N2) viruses toward the end of the season” which struck nursing home populations with deadly consequences. For reference, type-A flu viruses are the most virulent and most common. Type B are less common but almost exclusively strike humans. Like the more recent swine flu outbreak which began in Mexico, the second flu bout in 1993 began late in the season. Still, why would the government hide such an epidemic, particularly the second one in 1993? I had no clue. The big difference from prior years was that elderly Americans were getting free flu shots. According to The Vaccine Guide (North Atlantic Books, 2002), during the 1992-1993 season, 84 percent of samples for the predominant type A virus in circulation in the US population were not similar to the virus in the vaccine. The flu vaccine that year would be largely worthless. But that wouldn’t explain such a huge increase in deaths, particularly in nursing home populations that apparently hadn’t received flu shots in prior years due to lack of provisional funding. There was a very slight increase in the risk for Guillain-Barré syndrome in the period 1992 to 1994 from flu shots (one additional case per million persons vaccinated). [New England Journal of Medicine 339: 1797-802, 1998] This would still not be sufficient to produce a setback in life expectancy. Now the big question comes to mind. Was the flu vaccine in 1993 lethal in some way? This could be the only explanation as to why this deadly flu outbreak has been hidden from the public. If so, it would be a severe blow to the nation’s flu vaccination program. Could there have been some deadly vaccine in use in the US in 1993? So-called “hot” lots of vaccines are not a matter of public record. Flu vaccines inject a “little bit of disease” to provoke the production of antibodies and produce long-term resistance to a particular strain of the flu. Nursing home patients are often frail and immune compromised. Every flu vaccine is a new invention, produced in advance of the next flu season and usually comprised of a new combination of three viral strains that virologists believe will be in circulation during the upcoming flu season. The three viral strains in these trivalent vaccines could have been deadly to frail elderly patients. It is often stated that flu vaccines are comprised of “dead” or “attenuated” viruses. In fact, viruses are not alive, they are proteins and genetic material that require a host cell for replication. Virulent flu viruses are “grown” in mammalian eggs until less virulent strains are produced, which are then used in vaccines. In the process of making a vaccine in this manner, a hidden virus may be introduced, such as the Simian 40 virus that was mistakenly introduced in the polio vaccine some years ago. New methods of making vaccines would eliminate this problem. But was a deadly combination of viruses hidden in the flu vaccine used in 1993? Certainly no flu vaccine manufacturer would admit to that. The FDA has been lax in its monitoring of flu manufacturing facilities. For example, in December of 2000 The Idaho Observer noted that Medeva, a British flu vaccine maker, had received a warning letter from the US FDA over filthy conditions in its manufacturing plant, but the FDA had given the green light to sell 20 million doses of its “Fluvarin” flu vaccine in the US in that same year without re-inspecting the plant. Bill Sardi is the president of Knowledge of Health, Inc. San Dimas, California. Bill Sardi's books. I had uncovered much of this information over two years ago. But the reason for the cover-up remained elusive until I read a Health & Human Services press release issued in 1999. It said that Medicare coverage for flu shots for the elderly began in 1993 as the Administration launched an effort to increase immunization rates among older adults.